EC London has many fantastic teachers, and one of the longest-serving and most loved is Prakash Parmar. Prakash started teaching at EC London after completing his Celta course in 2010, and has taught at EC ever since. Prakash has taught all levels of English, and is currently one of EC’s Ielts teachers. 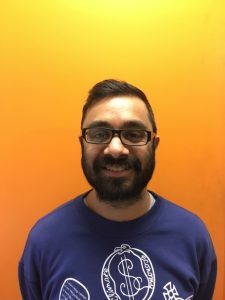 We caught up with Prakash to find out why he decided to become a teacher, why he enjoys it, and what advice he would give to other teachers. Why did you decide to become a language teacher? What do you like about teaching? What advice would you give to new teachers?